Microsoft dropped Windows 10 to the users a little over a week ago. 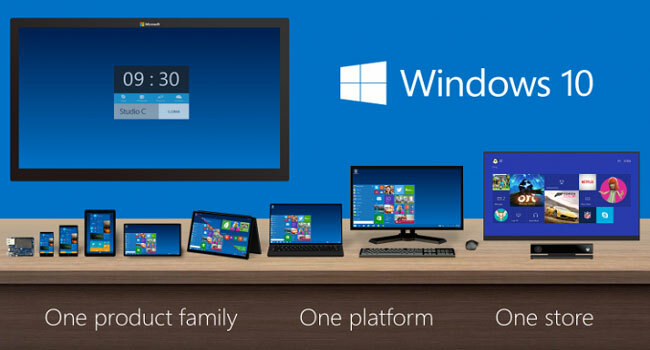 Windows 10 comes in a multitude of versions, seven to be exact. Microsoft is aiming the various versions to a variety of audience, including home users, professionals, large entropies and more. Such a huge variety is sure to confuse a lot of users, who might be thinking which Windows 10 version is ideal for them, or which they are eligible to upgrade to. This is the definitive guide to all Windows 10 editions. This is the version meant for the everyday customer. Windows 10 Home brings all of the essential new features to PC’s, Laptops and 2 in 1 machines near you. Geared towards everyday consumers, the Home variant comes with the brand new features like Microsoft Edge, Continuum, Cortana, Xbox Game Streaming. For touch screen devices, it also has the all new Tablet Mode, which works in conjunction with a keyboard (or lack of) via Continuum. We also get Game Streams from Xbox One and other new Universal Windows Apps like the Mail, Photos, Music, Calendar, Movies etc. are available in their full form on Windows 10 Home Edition too. To sum it up, Windows 10 Home is for the average PC user. Price: $119 for Single License Copy. Windows 10 Pro builds upon the core Windows 10 experience found in Windows 10 Home. It comes with several features needed for professional use. Similar to Windows 10 Home, Windows 10 Pro is meant for use on PC’s, Laptops and 2 in 1 Machines. Windows 10 Pro supports BitLocker Full Disk Encryption, Domain Creating and Joining, Group Policy Management, Remote Desktop Hosting and Enterprise grade Internet Explorer. It also supports Intel Hyper-V virtualization technology on 64-bit variants. As people can easily guess, most of these features are geared towards professional and enterprise grade use, and that these features are very less likely to be used by average PC users. In Short, Windows 10 Pro is geared towards PC enthusiasts, Power users and Business Professionals. Price: $199 for Single License Copy. Windows 10 Enterprise is target oriented towards medium to large sized corporations. It is specifically tailor made to hand over control to the Enterprises, instead of Microsoft controlling it. This version allows full control of updates, security to the system administrator of the corporations. Windows 10 Enterprise packs Windows Update for Business, and also includes a Long Term Servicing Branch, which allows businesses to defer and refuse feature and software upgrades while accepting only security fixes. This is done to allow for better inter-office security. Corporations can perform full device encryption and lockdowns automatically from the administrator end. 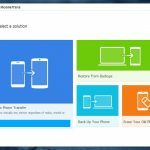 This version is not ideal for normal or even power users, as this lacks many critical modules from other Windows versions, like Windows Store, various Universal Apps including Music, Xbox and other things which make it a hassle for regular users. Windows 10 Enterprise is distributed via Volume Licensing and Microsoft Developer Network (MSDN) only. Windows 10 for Education is a variant of Windows 10 Enterprise tailored towards academic institutions. It is meant to be distributed in machines used in schools and universities while allowing for a secure, safe and trustworthy system for students as well as academicians to use and work on. It DOES NOT feature the Long Term Servicing Branch from Enterprise though, as Microsoft deems it not necessary for the use case here. As with Windows 10 Enterprise, Windows 10 for Education will be distributed via Volume Licensing programs only, and current students and users using Windows 8.1 for Education can seamlessly transfer to Windows 10. As a part of Microsoft’s attempt to universalizing Windows, Microsoft is ditching the Windows Phone branding, and moving totally to Windows 10, as Windows 10 for Mobile. Windows 10 Mobile promises universal apps, a revamped user interface, a new Action Center, updated camera apps, universal Office Apps. Everything from Outlook to Calendar to Music is totally integrated with your PC and cloud, making it a cakewalk for users to get used to the new ecosystem. The new OS is fully optimized, allowing for old users to pick off exactly where they left off, and new users to get familiarized very quickly too. Essentially, Windows 10 Mobile is an upgrade to Windows Phone 8.1, and almost everything we know about it, has been revamped. The core philosophy stands the same, but the apps have grown more functional, there are many lower level improvements, including the amazing Project Astoria, which makes running and porting Android applications over to Windows 10 Mobile a cakewalk. There is also another subversion of Windows 10 Mobile, known as Windows 10 Mobile Enterprise. This is specifically for medium to large enterprises and allows for full device encryption, device lockdowns, administrator control over security policy and updates. These features are controlled by the company administrators, similar to Windows 10 Enterprise for PC’s and laptops. Price: Free Upgrade for all eligible Windows Phone 8.1 Devices. Probably the most out of place version in this listing, Windows 10 IoT is a brand new attempt at Microsoft to enter the Internet of Things market. This new operating system is tailor made to run on various household appliances like machinery, microwaves, TV’s, thermostats and even your door locks. Windows 10 IoT is not meant to be a standalone operating system, but it serves as a connection between your gadgets and your smart home appliances. You can set your washing machine to do the job when you are out and about. You could have your toaster have your bread ready when you go to take a bath. You could lock the doors remotely in case you forgot. The possibilities are endless. This version is of interest to companies building IoT devices, and tech enthusiasts and geeks experimenting on IoT like appliances, like the hugely popular Raspberry Pi 2. The flexibility of Windows, plus the lightweight nature of Windows 10 IoT delivers a connected experience like never before. Price: Free as of now for supported hardware. Windows 7, Windows 8 and Windows 8.1 users are eligible to get a free upgrade to Windows 10. So which version are you getting updated to? Both Windows 7 and 8 users will get updated to a similar category variant of Windows 10. If they want, they can get a new key to jump versions (for example, Windows 10 Home to Pro) easily. For people not eligible to upgrade, Windows 10 is on sale in physical flash drives and digital keys from Microsoft right now. Hopefully, all confusing elements about the multitude of variants of Windows are solved in your mind now. So what are you waiting for? Go grab your copy. Have you installed it please tell me as I am also thinking of upgrading my Windows. Window 10 is really awesome. It is free for Windows user and we use free premium edition and thanks for sharing information about editions and price. Good work. Keep up it. After reading this article, I made my decision to go for Windows 10. Yes, it’s a bit of expensive but its worth it. Really a great post explaining everything with such an ease :) Thank you for sharing! Nice information about Windows 10. I’m using Windows XP from a very long time and wanted to upgrade. Now I am going to buy a new laptop and hope they will provide Windows 10 with it. Sounds great and I have upgraded my Windows 8 to Windows 10 now, but what about Windows 8 mobile? Nice article, Windows 10 Pro looks great. How do I quickly upgrade from 7 to 10? Also, will the upgrade cost me the data on my C drive? As in will the update wipe my data clean from C drive or will the data be retained during and after the upgrade? There is an option for it while upgrading. So your data will be restored as it is after successful upgrade. All your settings also restored after an upgrade. But to be on safe side take backup of your important files. Thanks for sharing beauty information about Windows, I will install Windows 10 on our system if I get any problem during installation of Windows 10 then will contact you. Thanks for sharing this information, I really want to know that. I am still using Windows XP but wanted to upgrade to Windows 10. What is the system hardware requirement. Windows 10 Home has always been good for me ever since it released, thanks for sharing the info brother @Shaunak Guharay. Windows 10 is best as compared to Windows 8. Thanks for sharing this information. I am using this since it’s launch and I am much more happy with Windows 10.